Down River, the film inspired by Babz Chula’s life, and directed by her dear friend, Ben Ratner, wraps today. 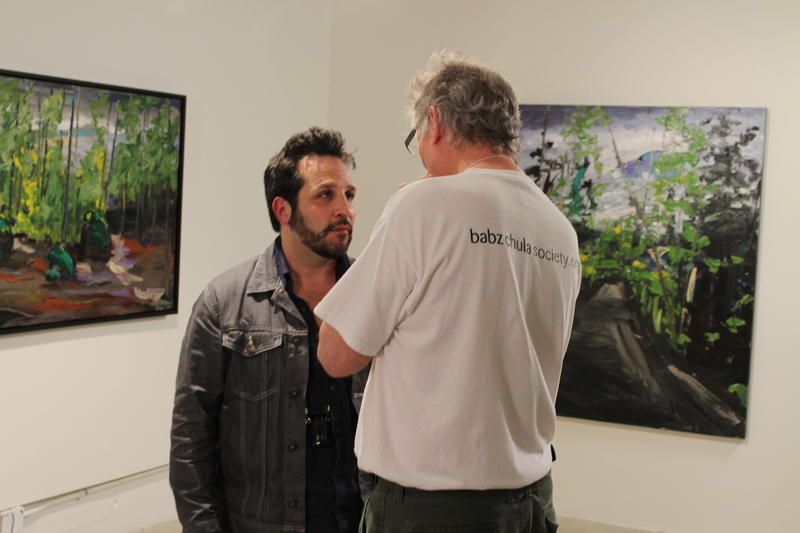 Ben Ratner consults with Larry Lynn (Babz’ husband, and the film’s cinematographer) on the first day of filming. The final scene is a memorial for the character of Pearl, (played by Helen Shaver) and in this scene Aki, (played by Jennifer Spence), reads a letter from Pearl, who has since passed away. The letter she reads is actually the letter Ben read at Babz’ memorial in 2010, a letter that Babz herself wrote. Also in this scene, Harper (played by Colleen Rennison) will be singing the song “Down River”, written by Kevin House, which she sang at Babz’ memorial.